“Bond. James Bond,” Leonardo Nam told NBC News when asked what his dream role would be, immediately bursting into laughter. That dream isn’t too far off. The 37-year-old Nam can rock a tuxedo, as he did in last month’s Screen Actors Guild Awards; he’s played an Asian version of a non-Asian character before (2002’s “Sisterhood of the Traveling Pants”); and he has a thick Australian accent (not to mention, he also knows Spanish and Korean). “James Bond. That’s a codename. So why couldn’t I be him?” he said. Born in Buenos Aires, Argentina, and raised in Australia by two South Korean immigrants, Nam is youngest of three kids and grew up in the immigrant-populated outskirts of Sydney. His mother owned a clothing store; his father moved furniture. At night, his parents cleaned houses and offices for extra money. “I definitely knew it was different when I realized, ‘Oh. We’re an immigrant family. We’re cleaning houses. Other people at my school, their parents aren’t doing that,’” he said. At 12, Nam caught the acting bug when he was assigned a “King Lear” monologue for a public speaking class. When his delivery was too theatrical, Nam’s teacher pushed him toward acting. “The teacher said to me, ‘There is a way to blend being technical and having passion. That may be through acting,’” he said. He then performed in local plays, even producing a few with his older brother for their neighborhood church. Displeased with arts at his high school, a technical science-based academy, Nam rounded up some classmates and started the school’s first drama department. While studying architecture at the University of New South Wales, Nam — still pondering an acting career and dreading his physics classes — secretly auditioned for Sydney’s National Institute of Dramatic Art, the Australian equivalent of Juilliard, making it to the final round. His last audition was on the same day as a major construction final. “As I got off the bus to go to university, the architecture school was to the left and the drama school was to the right. I remember so clearly thinking, ‘I’ve got to go right. I need to go right,’” he said. Nam didn’t end up getting admitted, but skipping his final and auditioning was the push he needed to commit to acting. His decision came with pushback. “I remember my mum saying, ‘What do you mean you’re going to be an actor? There are no Asian men on TV,” Nam said, adding that his family’s’ reaction came from “a sense of concern, love, and caring” rather than strict parenting. Two weeks later and with just $300 in his back pocket and a small red suitcase, Nam moved to New York City to study at famed performing arts school HB Studio, which counts Whoopi Goldberg and Al Pacino among its alumni. Knowing no one, he spent his first few nights sleeping in Central Park before moving into a hostel near Madison Square. “I was armored with a sense of passion and told myself, ‘Right. I’m going to keep doing it,” he said. On the second day of rehearsals, Nam received a call that he had been cast in Paramount’s “The Perfect Score” opposite Scarlett Johansson and Chris Evans. His role was “Roy,” a teenage stoner involved in an intricate heist for SAT answers. But Nam almost turned down the role to stay in Shakespeare in the Park. It took the play’s casting director to snap some sense into him. “She was like, ‘Leo. You’re going to be carrier number two. This is a lead in a studio movie. Are you crazy?’” he said. He was told he needed to build his resume as an Asian actor before he could be seen as a Shakespeare lead. “She said, ‘Leo, I am never going to go watch an Asian Hamlet. I’m never going to go watch a black Hamlet. I’m never going to watch a transgender Hamlet. This is not how I’m going to spend my day,” he said. “I will go see Denzel Washington as Hamlet. 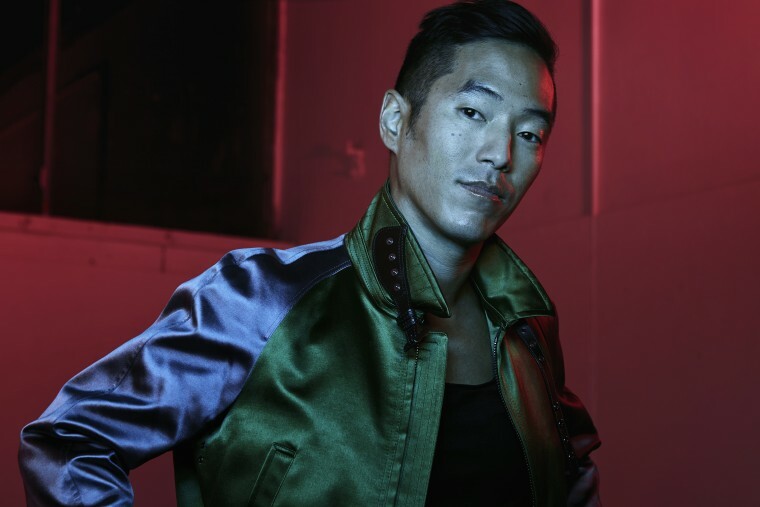 I will go see Viola Davis in ‘Hamlet.’ And I will go see Leonardo Nam in ‘Hamlet.’ You need to be that and then go do this.’"
With on-screen credits opposite A-listers like Sigourney Weaver, Drew Barrymore, and Forest Whitaker, Nam’s career looked promising — though getting there wasn’t easy, he said. Nam faced his fair share of racism, seeing auditions time and time again for roles like Chinese delivery boys, despite being Korean. But the typecasting didn’t get Nam down. In the early 2000s, Nam drew headlines for the color of his skin when he was cast as gamer Brian McBrian in “The Sisterhood of Traveling Pants” series. Fans of the novels lambasted the film for casting Nam as the originally written blonde-haired, blue-eyed love interest. “When I was cast, there was a reaction from a lot of the fanbase. I remember one fan, who wasn’t Asian, she wrote me a letter saying, ‘I can’t believe you’re playing Brian McBrian. He’s not Asian,’” Nam said. Fueled by the response, Nam put on a strong performance and in doing so, swayed some critics. By 2016, Nam reached a whole new level of fame when he was cast as Felix Lutz, the compassionate lab technician in HBO’s dystopian thriller “Westworld.” The show, which recently earned a best drama nomination at last month’s Screen Actors Guild Awards, has been praised for its diversity in a futuristic world where people hunt human-like robots for sport. As for how diversity can improve on screen, Nam says progress begins on the page, with diverse writers and characters.